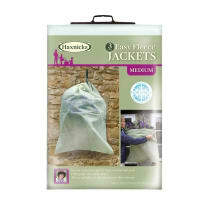 Haxnicks Easy Fleece Jackets make it quick and easy to protect your tender and semi-hardy plants from frost and other harsh weather. 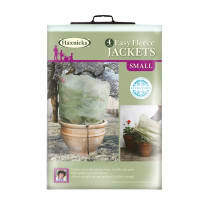 Simply slip one over the plant and secure at the base with the handy drawstring. Ideal for plants of all sizes in beds, borders, pots, hanging baskets and containers. Easy Fleece Jackets are manufactured from soft- green, high quality U.V. stabilised, extra thick 35 gsm polypropylene fleece and come in three sizes; large medium and small. 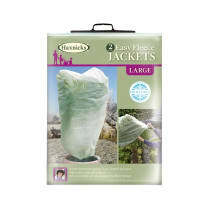 No need to struggle with lengths of regular fleece to wrap up your plants just slip on an Easy Fleece Jacket and the job is done!